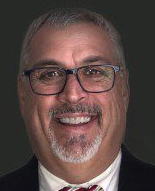 Curtis Media Group/Raleigh has named industry veteran Chris Ganoudis as General Manager of News/Talk WPTF 680 AM, Oldies WPTK 850 AM / 104.7 FM (Just Right Radio) and the Triangle Traffic Network. He most recently served as General Manager of JVC Broadcasting's stations in Orlando. Prior to that role, Ganoudis was General Sales Manager with Cox Media Group in Orlando.